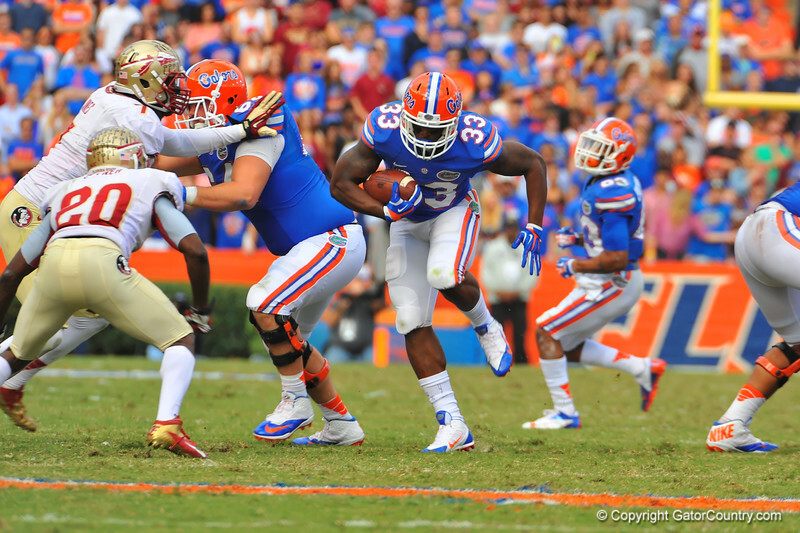 Florida running back Mack Brown hurdles through the open hole. Florida Gators vs Florida State Seminoles. Gainesville, FL. November 30, 2013.